Spring Concert by the St. Charles Municipal Bands at Foundry Arts Centre. Admission is FREE! See website for more info. 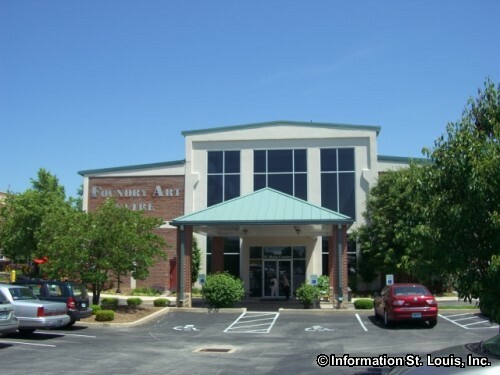 The Foundry Art Centre is located in what was once a 1940s train car factory, in the city of St. Charles, just north of Historic Downtown. The Foundry is dedicated to contemporary visual and performing arts. The four main galleries feature an on-going rotation of special touring exhibits, and juried competitions devoted to photography, pottery, painting, metalwork, glass art, fabric art, and more. Visitors will also enjoy strolling through the Foundry watching artist at work in their studios. The Foundry holds special events throughout the year. Directions: From I-70 west of the Missouri River, go north on Fifth Street, right on Boone's Lick Road, left on Riverside Drive, to the end of Clark Street. The Foundry is on the right.